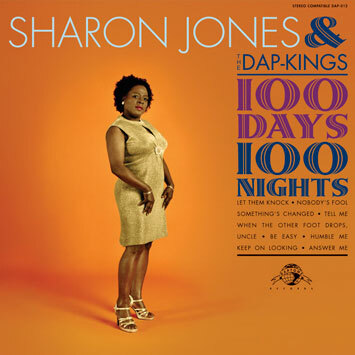 I am a huge fan of Sharon Jones. For all you fans of Miss Crackhead 2007 aka Amy Winehouse, get off it. This is the real deal. Blows Ms. CH out of the water. Funky as a gutbucket. Seriously though, this is a great LP. It brings you back to a simpler time afore all the buuuullshit thats polluting our ears now a days. Check out their record label. Daptone Records outta Brooklyn. Bushwick to be exact. Same label as previous postees The Mighty Imperials. Great effing album. one.